UNU-IAS has released a new book titled Sustainable livelihoods in socio-ecological production landscapes and seascapes, the third volume in its annual publication series the Satoyama Initiative Thematic Review. The publication was produced by our International Satoyama Initiative project in cooperation with the Institute for Global Environmental Strategies (IGES). 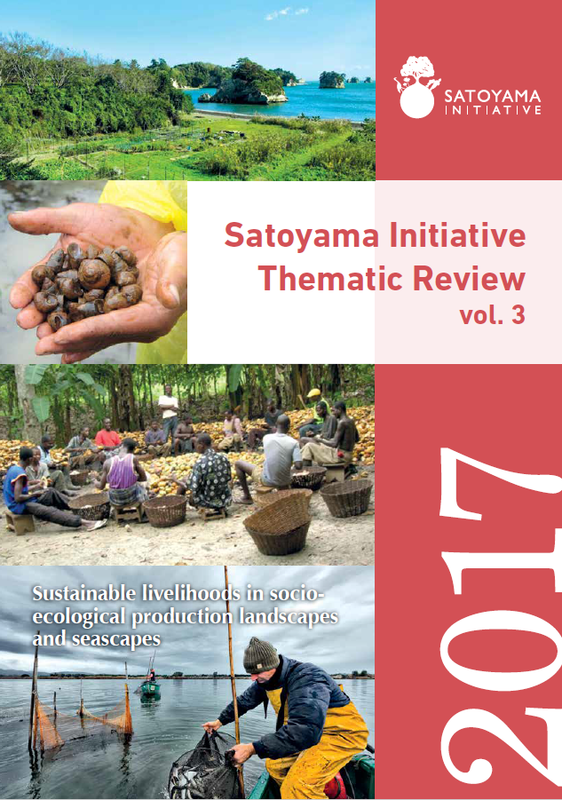 Each volume of the Satoyama Initiative Thematic Review contains a number of case studies drawn from member organizations of the International Partnership for the Satoyama Initiative (IPSI), of which UNU-IAS serves as secretariat, plus a synthesis chapter bringing together lessons learned and best practices on the volume’s theme. This year’s volume compiles 11 case studies covering experiences from Asia, Europe, Africa and North America, with various socio-political and ecosystem contexts. Authors were asked to identify challenges and opportunities in sustaining livelihoods, social and ecological changes that have occurred and approaches being deployed to strengthen natural and social resilience in the landscapes and seascapes where they work. Previous volumes of the Satoyama Initiative Thematic Review have focused on Enhancing Knowledge for Better Management of Socio-ecological Production Landscapes and Seascapes and Mainstreaming concepts and approaches of socio-ecological production landscapes and seascapes into policy and decision-making. Each volume is expected to provide useful knowledge and lessons for a broad audience including policymakers, practitioners and academics working on landscape approaches and other aspects of sustainability.